Alubond facades are made of aluminum profiles as sub-construction of facade and aluminum composite panels, alubonds, thickness of 3-5 mm as the facade cladding. Function of alubond panels is to provide aesthetic appearance and close airspace. Air is an excellent insulator, si the air space provides the required level of resistance to the heat transfer. If there are requirements for high thermal insulation extra insulation can be installed underneath alubond panels in form of stone or glass mineral wool. 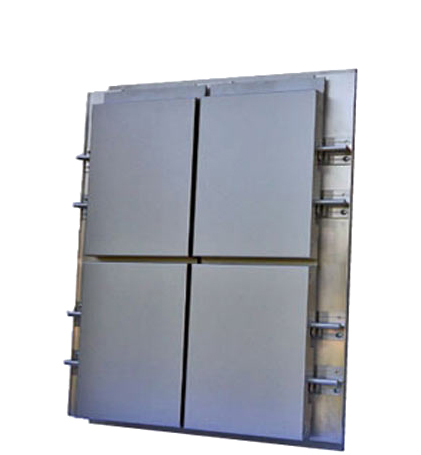 Alubond panels are formed to overlap the sides for 3 cm, creating drawer with airspace, which are fixed to aluminum facade carriers. The load-bearing aluminum substructure is attached to an existing concrete wall and carries the entire load from alubond panels to the wall. Alubond panels can be thin because their function is not insulation, but transfer of external load. High quality of alubond ensures long life and attractive appearance of the building with high formability. Glass facades are composed of self-supporting elements made of aluminum profiles and glass. There are two basic types of installation. The first type are so-called aluminium structural facades that gives a uniform glass surface, almost exclusively reserved for skyscrapers. The second type are aluminum semi structural facades. 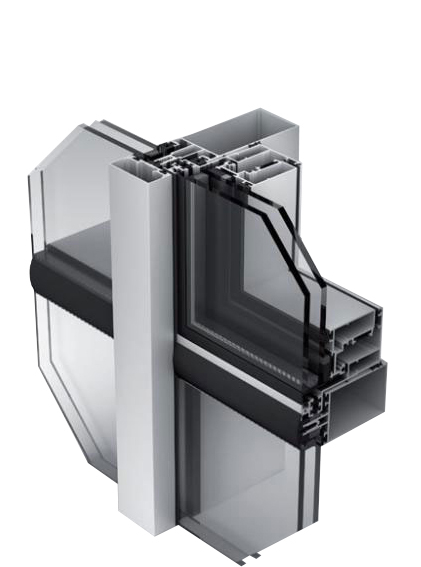 Glass is dominant, but with more or less visible aluminum support structure (minimally about 2.5 cm+ joint), vertical and horizontal. The benefits are good sealing, classical opening and easy maintenance. Our recommendation is low emisiln glass filled with argon which besides aesthetics (external reflection, color building... ) provides an excellent thermal and sound insulation as well as absolute waterproofness. When talking about sealing of glass facades, the goal is not to prevent the water to pass from the outside into the construction, but to drain away the water from structure that had passed. Aluminum as a material is extremely stiff, yet flexible and thin. Because of these qualities, aluminum facades are resistant to various shocks and weather changes and provide quick and easy installation. These facades are part of large commercial buildings and shopping centers and are generally synonymous for contemporary urban zone.